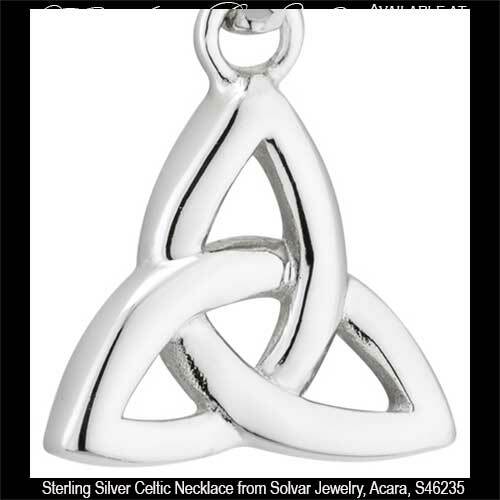 Celtic necklace is a sterling silver triangular design that features a gold plated Trinity knot. 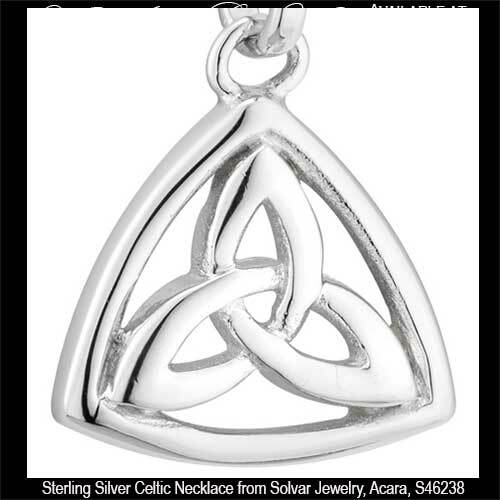 Celtic necklace is a sterling silver circle that features four gold plated Trinity knots. 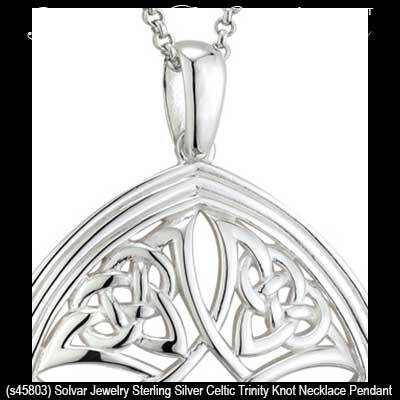 Sterling silver Celtic necklace features an engraved Trinity knot that is accented with crystals. 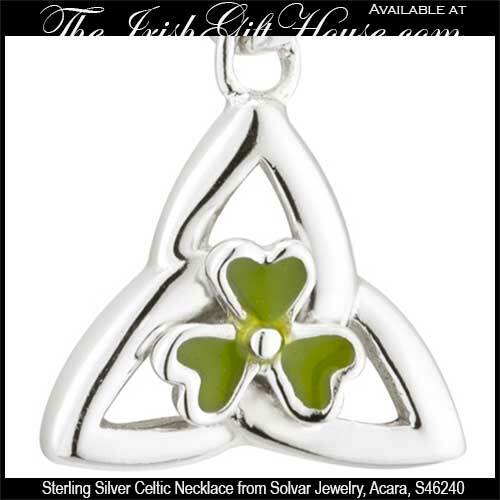 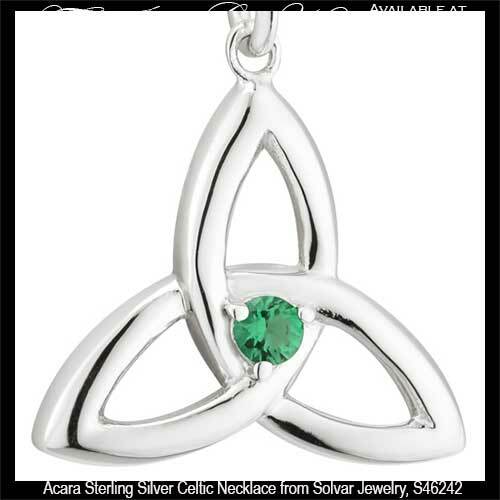 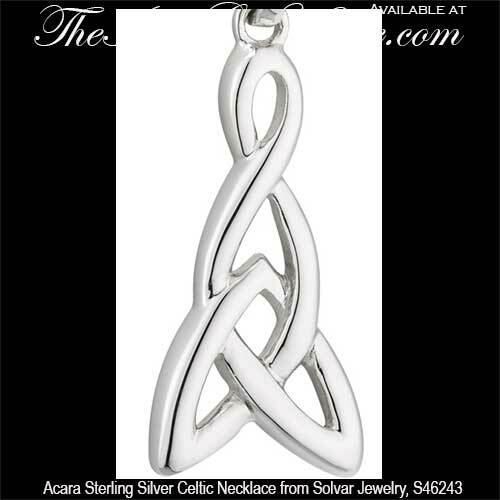 Celtic necklace features a classic Trinity knot that is cast in sterling silver. 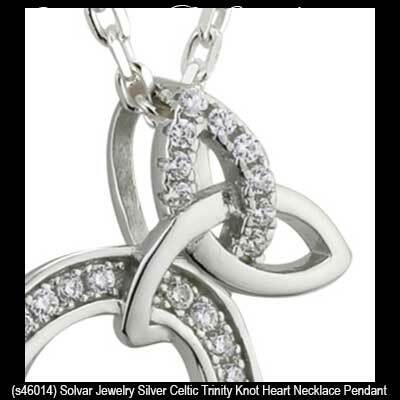 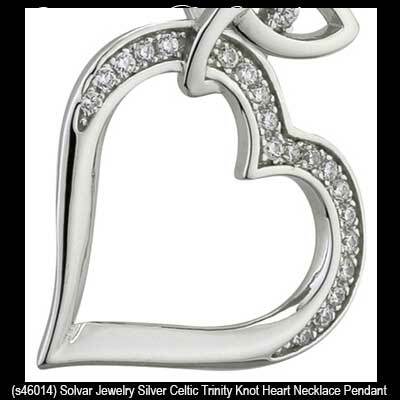 Sterling silver Celtic heart necklace features a Trinity knot charm along with CZ stones. 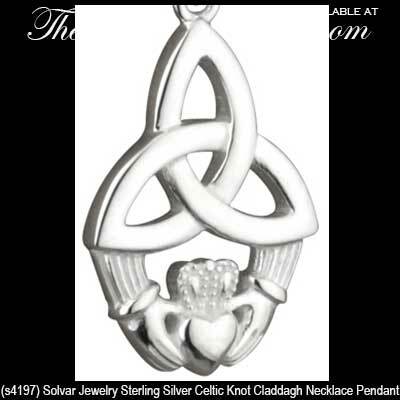 Sorry, this Celtic necklace is now sold out. 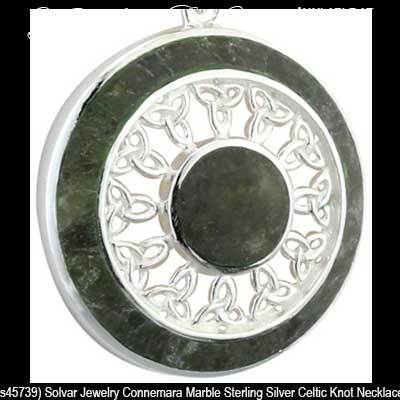 Sorry, this Connemara necklace is now sold out. 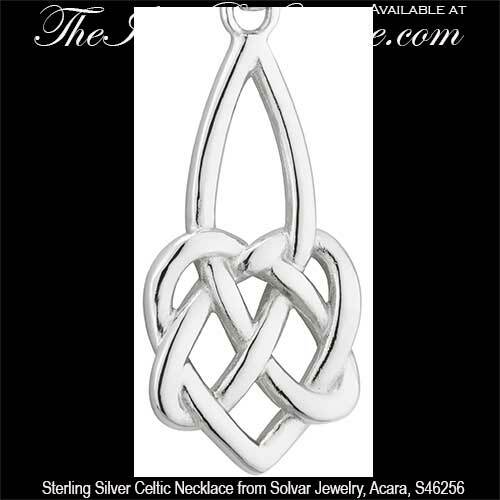 Nothing would complement your necklace selection more that a matching pair of sterling silver Celtic earrings; well except maybe a Celtic ring or a sterling silver Claddagh ring would also work nicely. 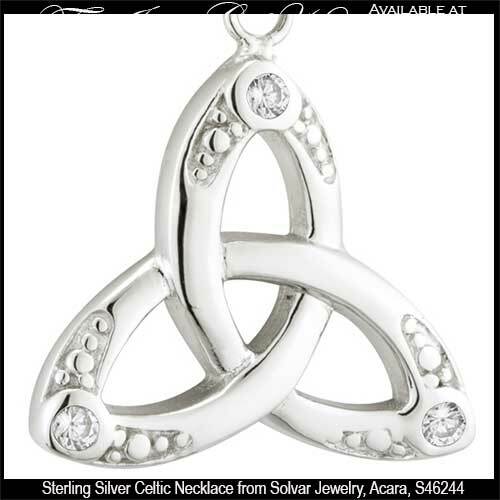 What the heck, you only live once, so why not get one of each? 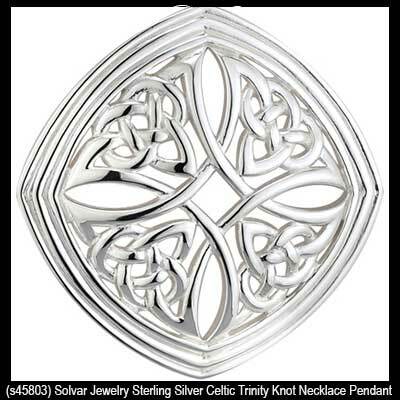 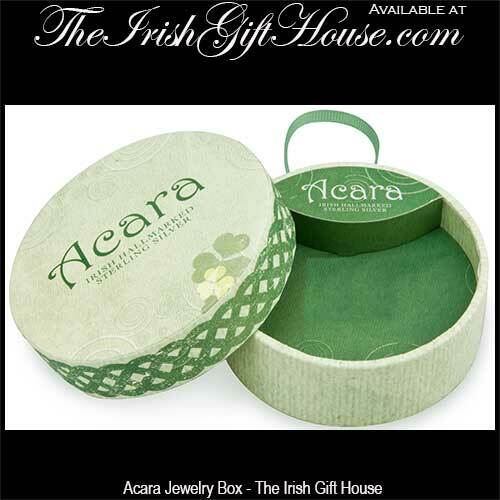 Other considerations for similar jewelry from The Irish Gift House is the Newgrange jewelry with their spiral designs and the sterling silver Celtic beads; remember that they are all made in Ireland and all these pieces are hallmarked by the Irish Assay Office at Dublin Castle.